> Whats's Inside Protein Bars? For a post-workout, quick-fix boost many of us will reach for a protein bar to combine a sweet treat and a re-fuel. But there’s clear evidence that these bars are becoming less protein packed and more sugar stacked. Insurance provider Protectivity surveyed 50 bars and found many of them contained more sugar and fat than a Krispy Kreme Original Glazed Donuts, which has 5g of saturated fat and a huge 10g of sugar. The worst offender in terms of saturated fat is Nutramino Protein Bar Coconut, containing 9.9g per bar – twice as much as a donut. The worst for sugar content? Unsurprisingly, it's the PowerBar Protein Plus 30 per cent Lemon Cheesecake Flavour which contain 19.5g per bar – again, double the doughnut. Protein supps have hit the big time. A growth spurt in the 'health bar' sector (worth a bulk £400m) has placed them next to good ol' snacks in the supermarket. But this has also made a huge impact upon the purity and provenance of the ingredients. We consulted Dr Emilie Aspray, a lecturer in nutrition at Glasgow University, to unravel exactly what you're feeding your muscles the next time they hunger for a quick fix. The USP – but the purity of your key ingredient differs hugely. An explosion in demand has spiked the price of whey, leading many manufacturers to blend it with soy and other proteins of a lower quality. This can affect nutrient availability and easy of digestion. If the label shouts about it's "25g of quality protein! ", don't just take it as read. Scan the ingredients list for pure whey isolate. There is a reason bars taste so good and it's not always because it's leg day and you've earned it. To cut overheads, a lot of brands sweeten them with crystaline fructose, which delivers intense sweetness at small quantities. Consume too much of the stuff and it can put you at risk of liver damage. High-fructose corn syrup is common in US products, so be extra vigilant if you import. Wholegrain oat-blend bars are some of the most popular and can provide 30% of your fibre RDA. Scout out bars that contain bean gum – a gelentinous fibre used to add texture and make up for a lack of fat – to get an extra hit. 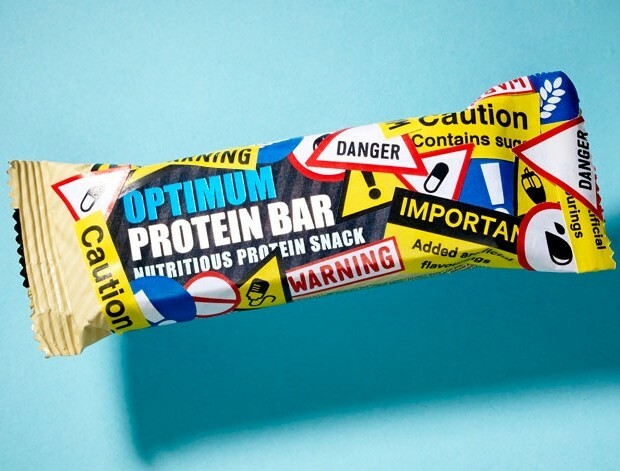 Most protein bars are also bolstered with between 15 and 20 vitamins and minerals, with a focus on antioxidant vits C and E, which will lessen DOMS. Hydrogenated palm oil is often used to bind the ingredients together. It's how manufacturers get everything from flapjacks to wafers vying for your tastebuds' attentions. But it's just another name for saturated fat, masking connotations with heart disease. New EU rulings are set to compel manufacturers to clearly label their products. Keep an eye out if you're shopping old stock. Toffee, bannoffee, vanilla sundae crunch... any artificial flavouring offers no benefit bar taste. But if you have a sweet tooth, they can deliver palatability without the damage dessert does to blood sugar control. The higher levels of protein and fibre will keep you sated for longer than a Mars. So while you shouldn't eat either every day, a protein bar post-gym can be the lesser of two evils.